Macherey Nagel chlorine Sensitive test strips. 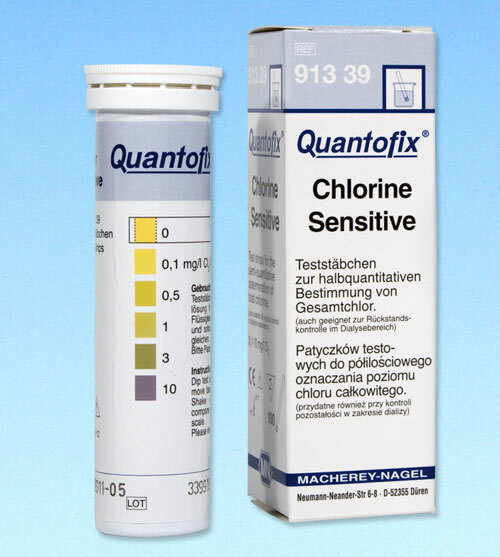 For the determination of total chlorine in the low range 0 to 10 mg/L. Steps are 0 ? 0,1 ? 0,5 ? 1 ? 3 ? 10 mg/L Cl2. 100 tests per vial. Dip and read procedure provides results in 30 seconds.